B. Thomas (Arlington, Texas, United States) on 26 December 2010 in Architecture. 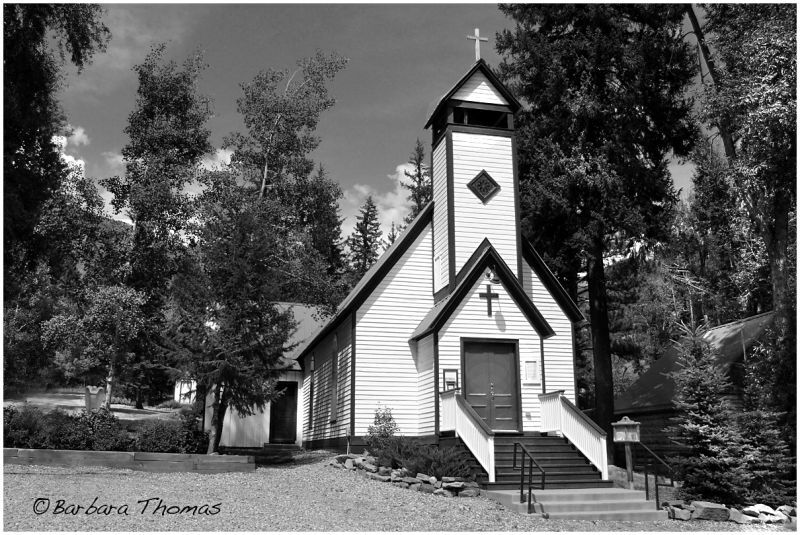 Marble Community Church in the scenic Colorado Crystal River Valley is a National Historic Registry church. Such wonderful simplicity . . something refreshing about this church house and the image itself. How rich and beautiful this is. I love their "Celebration..." story! @Judy aka L@dybug: Me too! Wonderful shot of this classic church. Well done, thanks for sharing with us. The architecture suits the setting.